As climate scientists stress that climate change has contributed to the enormous size and strength of recent storms including Hurricane Irma, which has killed at least ten people in the Caribbean and left the island of Barbuda “uninhabitable” as it heads toward Florida, a coalition of more than 220 organizations called for a “managed decline of fossil fuel production” on Thursday, with an immediate end to new oil, gas, and coal development. The full text of the Lofoten Declaration is below. If we assume the call is for nations and states to ban any new coal, oil, and gas projects, this is a very welcome shift to seeking blanket bans explicitly on climate grounds rather than any piecemeal opposition to individual projects based on a variety of environmental issues. However, the suggested timeline for phasing out existing production, ‘a full transition away from fossil fuels will take decades’, belies the urgency of tackling the climate emergency. The declaration talks about achieving Paris climate goals, which are far from adequate for restoring a safe climate. It refers to a ‘low carbon future’, but we need a net-zero carbon future plus carbon drawdown to restore a safe climate. 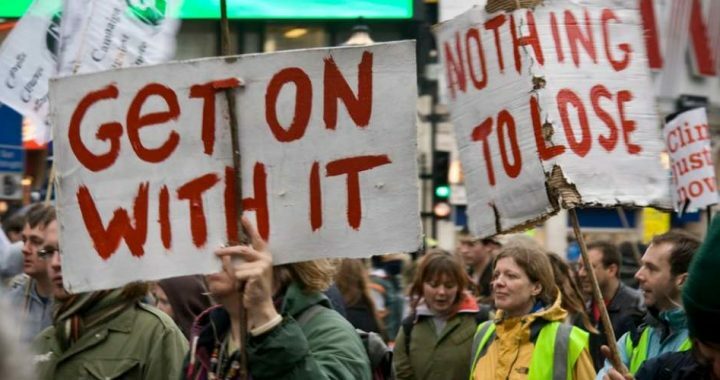 Having said all that, the Lofoten Declaration is an important document in that it raises the expectation that nations and states can, should, and hopefully will stop digging us into a deeper climate hole and will ban all new fossil fuel projects. Global climate change is a crisis of unprecedented scale, and it will take unprecedented action to avoid the worst consequences of our dependence on oil, coal, and gas. Equally as critical as reducing demand and emissions is the need for immediate and ambitious action to stop exploration and expansion of fossil fuel projects and manage the decline of existing production in line with what is necessary to achieve the Paris climate goals. Clean, safe, and renewable fuels are already redefining how we see energy and it is time for nations to fully embrace 21st century energy and phase out fossil fuels. The Lofoten Declaration affirms that it is the urgent responsibility and moral obligation of wealthy fossil fuel producers to lead in putting an end to fossil fuel development and to manage the decline of existing production. We stand in solidarity with, and offer our full support for, the growing wave of impacted communities around the world who are taking action to defend and protect their lives and livelihoods in the face of fossil fuel extraction and climate change. It is a priority to elevate these efforts. Frontline communities are the leaders we must look to as we all work together for a safer future. A global transition to a low carbon future is already well underway. Continued expansion of oil, coal, and gas is only serving to hinder the inevitable transition while at the same time exacerbating conflicts, fuelling corruption, threatening biodiversity, clean water and air, and infringing on the rights of Indigenous Peoples and vulnerable communities. Energy access and demand are and must now be met fully through the clean energies of the 21st century. Assertions that new fossil fuels are needed for this transformation are not only inaccurate; they also undermine the speed and penetration of clean energy. We recognize that a full transition away from fossil fuels will take decades, but also, that this shift is an opportunity more than a burden. We are in a deep hole with climate. We must begin by not digging ourselves any deeper. Research shows that the carbon embedded in existing fossil fuel production will take us far beyond safe climate limits. Thus, not only are new exploration and new production incompatible with limiting global warming to well below 2ºC (and as close to 1.5ºC as possible), but many existing projects will need to be phased-out faster than their natural decline. This task should be first addressed by countries, regions, and corporate actors who are best positioned in terms of wealth and capacity to undergo an ambitious just transition away from fossil fuel production. In particular, leadership must come from countries that are high-income, have benefitted from fossil fuel extraction, and that are historically responsible for significant emissions. We call on these governments and companies to recognize that continued fossil fuel exploration and production without a managed decline and a just transition is irreconcilable with meaningful climate action. We also note that there are tremendous leadership opportunities for these countries to demonstrate that moving beyond oil, coal, and gas – both demand and production – is not only possible, but can be done while protecting workers, communities, and economies. The Lofoten Declaration was written in August 2017 at a gathering in the Lofoten Islands of Norway of academics, analysts, and activists, all of whom recognize that globally we have a window of opportunity to limit the expansion of the oil and gas industry, in order to achieve the Paris climate goals. We invite other organisations worldwide to join the call. Posted in Global good steps, Ups and Downs. articles about climate impacts occurring right now and expected future impacts. If the full nature of the challenge we face is not known, we cannot expect people take the measures needed to meet it.